Do Your Suppliers KEEP Winning Your Business? Let’s face it. Once you sign a contract with a supplier, they have your money. Everything changes. Your bag of tricks is pretty much empty. Now that’s a pretty defeatist attitude and I don’t mean to paint a black picture. But the reality is that *at the end of the day*, your suppliers are in the business of making money. And once they know they have yours, they’ll do just enough to keep your business, but their biggest focus becomes the next customer whose money they don’t have yet. It’s not greed and it’s not evil. They are doing their job. Your company does the same thing on the sales side. This is what capitalism is all about. So we could talk about how to prevent post contract signature problems by how you structure things on the front end with the SOW/SPEC and contract language, but that’s not my focus in today’s blog. What I want to talk about today is, are your suppliers only winning your business or are they trying to KEEP winning your business? Now I read a lot of sales books. I learn much more from those than I do from reading purchasing books. Why? Because I get counter intelligence. I learn what they are telling each other. The biggest gap that I see is that the sales function is that they only talk about the customer – your internal customer or end user. They don’t talk about purchasing. Almost no sales literature exists that focuses on purchasing. It’s all about the end user. How to make the customer happy. No wonder we have so many problems. Suppliers don’t know purchasing’s language. They don’t understand purchasing’s value drivers. They don’t understand our hot buttons. If a customer internally comes out of the woodwork and asks a supplier for a quotation, do these suppliers know that this is a hot button of yours and immediately contact you to make sure you are engaged on the front end? If a contract is nearing the negotiated amount and will likely exceed forecasts, do your suppliers contact you and let you know right away? Are supplier RFX responses delineated by direct, indirect, and avoidance savings – using purchasing measurement standards? Are your suppliers trying to sell you using dog and pony shows and glossy brochures that are designed to woo customers based on emotions, rather than uniquely addressing purchasing with a more fact based approach that resonates with your more analytical style? Have you trained your suppliers and set the expectation for them to come back to you at least twice a quarter saying “I just figured out another way to lower your total cost”? Does your supplier try to maintain its relationship with your company by taking end users out to lunch? Does it feel like suppliers are trying to sell you solutions which look suspiciously like goods and services, only cost a lot more? Do your suppliers understand reducing price by driving upstream design for tco and taking costs out of the supply chain, or are they fixated on “lower prices = lower profits”? Do your suppliers feel that the only time they have to earn your business is at contract renewal? Do you feel like YOU are the one who has to do diving catches every time the supplier has a performance slip? 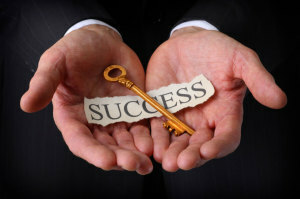 Are your suppliers the REASON WHY YOU ARE SUCCESSFUL? Do they understand what it takes to make you successful and are they an active partner in making that happen? If you are working in the public sector, do you vendors understand and employ strategies to take advantage of public solutions to improve service and lower costs? Do suppliers that want to work with you make you feel like they are trying to sell you something instead of helping you achieve your objectives? Do they understand purchasing objectives? Do they even ask? The problem is this, folks: Sales people are teaching sales people how to sell. They know how to sell to the customer. They don’t know how to sell to purchasing. Shouldn’t purchasing be teaching this to sales? And if they learned these concepts, they would be so much more successful, and your results would be so much better, and so would their results. I intend to fix this problem for our profession. Along with a longtime business partner of mine, we are holding a breakthrough seminar that is going to give suppliers everything they’ve never been taught to help make purchasing successful, and to win and KEEP ON WINNING purchasing’s business. Please forward this link above to all your top suppliers. I’m going to teach them how to increase YOUR TCO. And for every successful referral you make, I’ll give one person* from your company or agency a FREE lifetime membership to my Power Purchasing Pro training product (I sell these like hotcakes for $297/each). If you are really in love with a different one of my online training products or already have this one, we can work a substitute. * Note: This “one person” can be you, but I’m allowing it to be anyone in your company or agency, so that there are no perceptions of conflict of interest that you have to worry about. Just circle back and tell my support staff (Support@PurchasingAdvantage.com) that you’ve made a successful referral and they’ll do the rest. Let’s make this profession better, and give our suppliers the tools and insight they need to stop selling to purchasing, and to start focusing on what it takes to make us successful, every single day. Next post: Purchasing Training ~ Purchasing Leaders: Are You Doing Enough?